“Boom.” That’s exactly how I would imagine current Microsoft CEO Steve Ballmer describing the big news today. Microsoft finally did what many had expected from the very beginning. 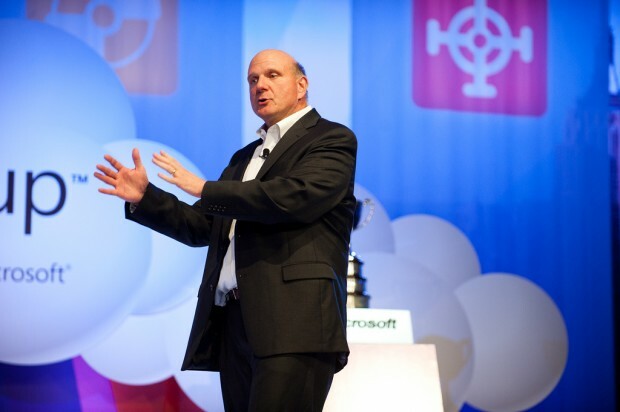 The software giant dug deep and purchased Nokia’s Devices and Services unit, a move that could turn out to be Steve Ballmer’s last ace in the sleeve. It’s also the clearest action yet that Microsoft is indeed serious about becoming a devices and services company in its transition. The deal is expectedly massive. The deal will close in the first quarter of 2014, where Microsoft will pay 3.79 billion euros (roughly US$4.99 billion) for the Nokia mobile business, and then another 1.65 billion euros (roughly US$2.18 billion) to license Nokia’s patent portfolio. 32,000 people will be transferring from Nokia to Microsoft, including the outgoing Nokia CEO Stephen Elop to Microsoft. Elop will now be leading Microsoft’s Devices team, but rumors have understandably begun swirling regarding his potential to succeed Ballmer as Microsoft’s next CEO. One of the bigger ways in which this deal will be felt to the consumer, on the other hand, is the Nokia branding on smartphones. As part of the deal, “Asha” and “Lumia” will now be trademarks owned by Microsoft. The “Nokia” branding will remain with the Finnish company but can only be used on feature phones under a 10-year agreement. Basically, we are never going to see another Nokia smartphone again. The devices that will be built by Nokia’s mobile division — which is now owned by Microsoft — will be Microsoft-branded, so say hello to the potential “Microsoft Lumia” or “Microsoft Asha.” Those aren’t official names of course, but it’s unlikely the company won’t leverage the name Nokia has built over the years. Like it did with the Surface, Microsoft will now be competing with its hardware partners, but judging by the lack of success for Windows Phone, that shouldn’t be too much of an issue. To sweeten the pot for both companies, Microsoft will license Nokia’s HERE Maps for use in future tablets and smartphones. With all that said, this is a great move by Microsoft. Nokia has essentially been Microsoft’s phone factory in recent years, and bringing them into the company will only result in (hopefully) stronger products with even tighter integration with software, and it gives Microsoft the expertise and talent to truly be considered a devices and services company. But while acquiring Nokia’s devi13ce division will certainly help, the company still needs to bring in the sort of app ecosystem that people now expect from the likes of Google or Apple to succeed. Nokia’s mobile decision can help Windows Phone succeed, but Microsoft needs to make sure Windows Phone doesn’t hold it back. Picking up Nokia’s Device and Services unit for less than $8 billion is basically a steal at this point despite Nokia’s eroding market share. (Remember, Google paid over $10 billion for Motorola which was also in dire conditions as Nokia.) This whole thing feels as if Microsoft planned to purchase Nokia well beforehand. Vamien McKalin contributed to this report.